Established in the year 1940, tucked in the lanes of Kinari Bazar is this tiny shop that serves only one dish - Urad Dal Kachori. 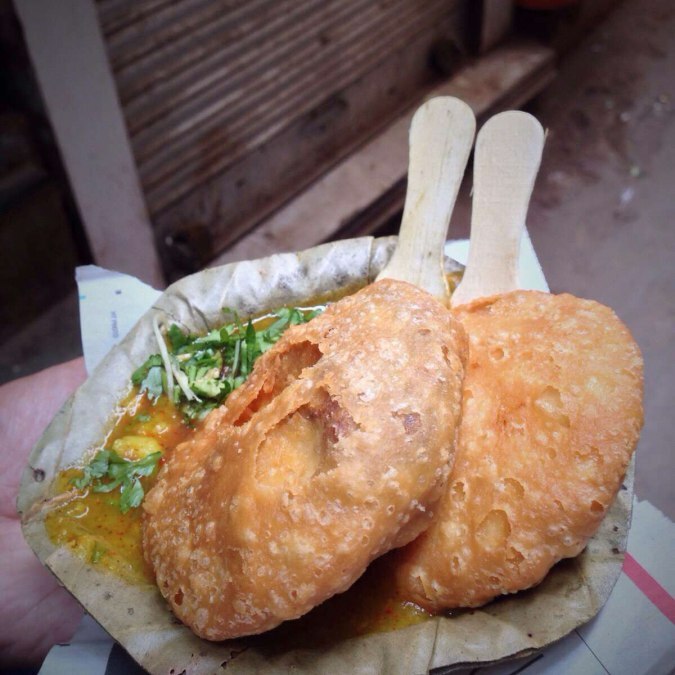 Jung bahadur Kachori wala is one of the most popular Kachori Wala, who makes the most affordable kachoris. They are served in a patta with the spiciest aloo sabzi. Believe me when I say its the hottest aloo sabzi. Its not chatpata, its SPICY!